LAS VEGAS, NV (CelebrityAccess) — Organizers of the Stellar Gospel Music Awards announced the nominees for the 33rd annual edition of the awards show, with contemporary gospel group Anthony Brown & group therAPy leading the charge. The group earned an impressive array of nominations for its work on the album "A Long Way From Sunday" in categories including Artist of the Year, Song of the Year, Male Vocalist of the Year, CD of the Year, Duo/Chorus Group of the Year, Producer of the Year, Contemporary Duo/Chorus Group of the Year, Contemporary Male Vocalist of the Year, Contemporary CD of the Year, and Urban/Inspirational Single or Performance of the Year. Tasha Cobbs Leonard, J.J. Hairston & Youthful Praise gospel choir, and Travis Greene each earned nine nominations each. Cobbs Leonard picked up nods for Artist of the Year, Albertina Walker Female Vocalist of the Year, CD of the Year and Producer of the Year among others for her work on her album "Heart. Passion. Pursuit." J.J. Hairston & Youthful Praise are nominated in the Artist of the Year, Male Vocalist of the Year, CD of the Year & Choir of the Year categories among their nine nods for the group's work on "You Deserve It." Greene was recognized with nominations for Artist of the Year, Song of the Year, Male Vocalist of the Year, CD of the Year and Producer of the Year for his work on "Crossover Live in Music City." The 2018 Stellar Gospel Music Awards Pre-Show is scheduled for Friday, March 23 with the awards ceremony taking place at The Orleans Arena in Las Vegas on March 24th with Kirk Franklin handling the hosting duties for the gala. 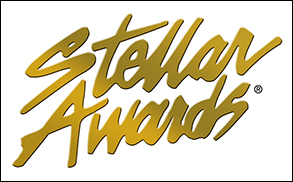 Other related events scheduled to coincide with the Stellar Awards include the Independent Artist & Quartet Showcase, taking place on Thursday, March 22, with winners performing at the non-televised awards pre-show ceremony, and the Stellar Gospel Radio Awards & Showcase will be held on Saturday, March 24, honoring top radio stations and announcers serving urban gospel music audiences.